Composed by Elliot Del Borgo. Clarinet Choir. Score and set of parts. Kendor Music Inc #15410. Published by Kendor Music Inc (KN.15410). 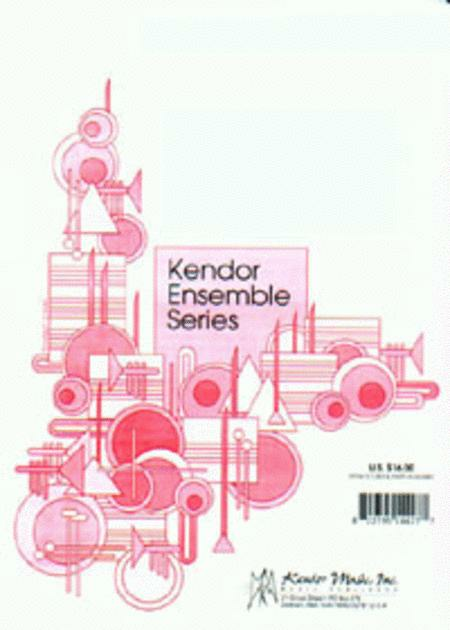 Winner of the 1976 Clarinet Choir Composition Contest sponsored by Kendor and the University of Maryland, this contemporary original opens and closes with a slow, dramatic theme that contrasts beautifully with the quick (quarter note = 160) and highly rhythmic midsection, where several meter changes -- 4/4, 6/8, 7/8 -- keep all players fully engaged. Duration 4:40.
board and be taken on a fascinating musical journey. I love 12 tonal music, this was an inspiration, now my life is complete.